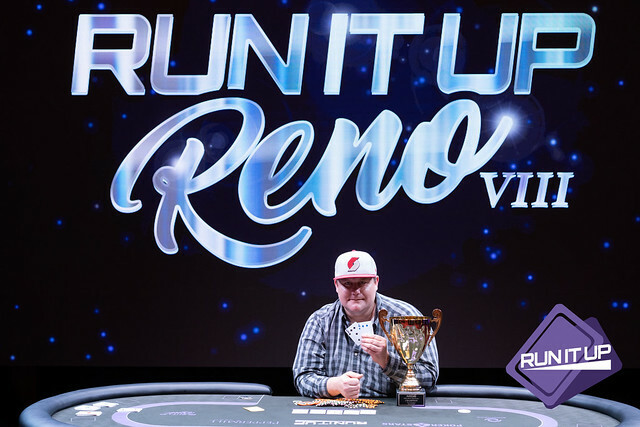 Don McCormick had a great day yesterday, capturing the $235 NLH Black Chip Bounty title for $5,600 plus $1,900 in bounties! 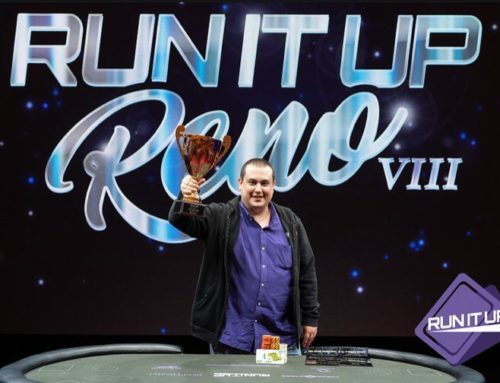 He already has four cashes this Run It Up Reno VIII, so the win was certainly a great way to celebrate. 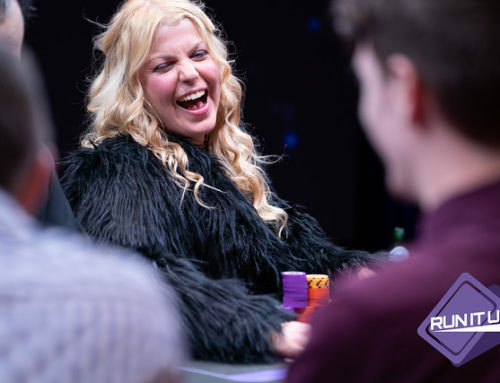 McCormick topped a field of 236 entries for a prize pool of $22,184. 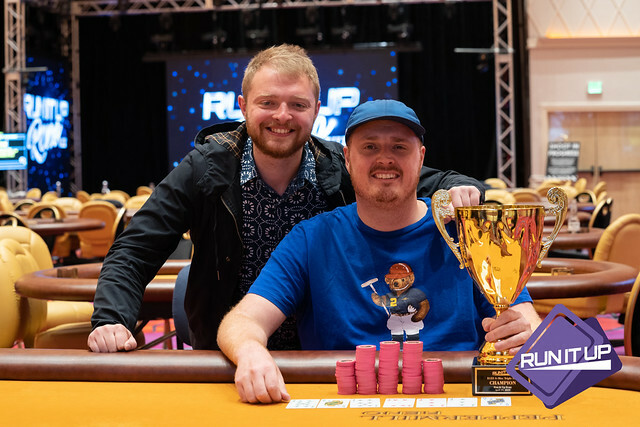 The newly-crowned champion defeated Eric ‘TABLECAPTAINN’ Wemlinger in a tough heads-up battle, with Wemlinger eventually taking home $3,220 for his runner-up finish. 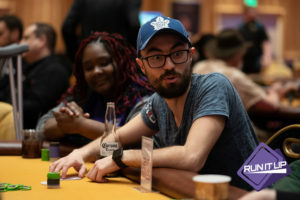 Other familiar faces to make it deep in this event included the likes of Sherman Mah (3rd – $2,204), Jason Daniele (7th – $885), Michael Trivett (13th – $380), Jamie Kerstetter (20th – $300) and Tyson Apostol (23rd – $300). 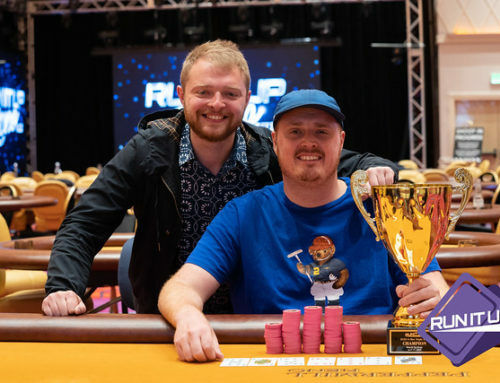 Later in the evening, it was Kyle Anderson (pictured) who was victorious in the $125 NLH All in or Fold event for $3,185 and the title in a two-way chop! 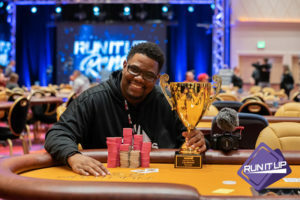 As part of the deal, David Davis took $3,000 for his efforts and claimed the trophy. 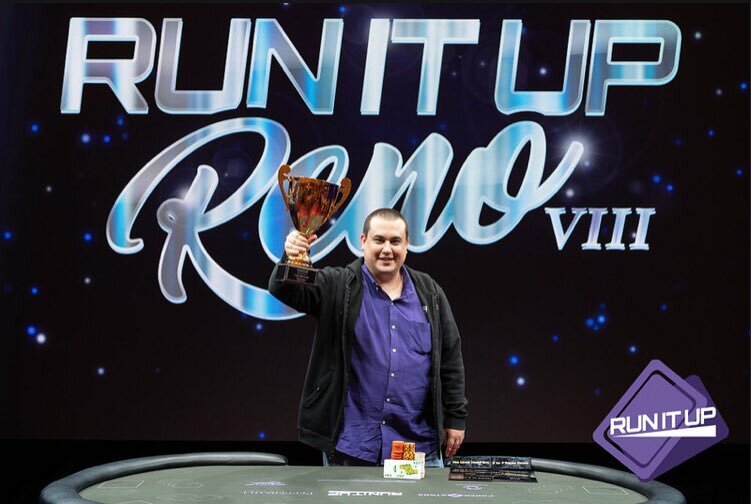 Anderson topped a field of 149 entries for a prize pool worth $15,000. 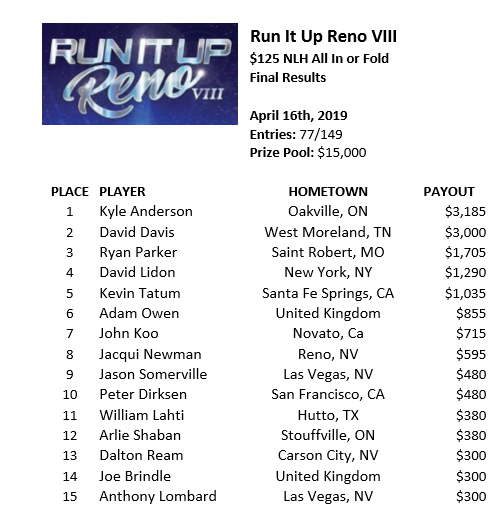 Familiar faces that went deep in this event included Adam Owen (6th – $855), Jason Somerville (9th – $480), Pete Dirksen (1oth – $480), and Arlie Shaban (12th – $380). 2PM – $165 Thrilla Sat. 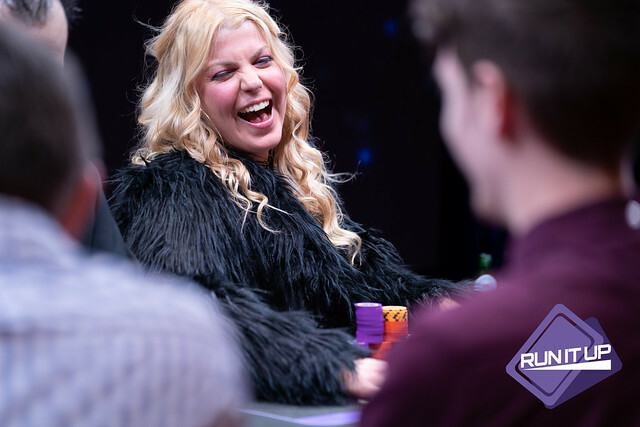 7PM – $165 Thrilla Mega Sat. All structures and schedules can be found here.